On February 17, 2009, President Obama signed a revolutionary stimulus bill, also known as The American Recovery and Reinvestment Act of 2009, that called for significant changes to the energy efficiency tax credits. Windows will require both a U-Factor and a SHGC (solar heat gain coefficient) both less than or equal to 0.30 in order to be eligible for the new credits. If you purchase any qualifying windows, then you are eligible to receive a tax credit of 30% of the product cost, up to $1500, on all eligible products. There has never been a better time to replace windows in your home! Find out if you are eligible for federal tax credits or other energy rebates. A.D. Construction will provide upon completion of project. Contact us in order to find out which window brand names provide you unparalleled energy efficiency and put money back in your pocket as well! The recent Stimulus package enacted by the federal government includes provisions that increase tax credits for energy efficient improvements. There are many products that potentially qualify for these credits including windows and doors (at the bottom of the page is a summary of the energy efficiency tax credits). The amount of the credit is 30% of the product cost, up to $1500, for all qualifying products installed in the homeowner’s principal residence in 2009 and 2010. The federal government requires that the homeowner keep an invoice, provided solely by their contractor that clearly identifies what qualifying products were purchased and the cost for each product not including labor. Must have a U-value less than or equal to .30 AND a solar heat gain coefficient (SHGC) less than or equal to .30. Manufacturers Certification, Contracts, Contractor Invoices, and/or NFRC/Energy Star labels should be saved for future reference. IRS form 5695 (link will be posted here later this year) will need to be submitted with the 2009 or 2010 tax return. This tax credit is in addition to existing Energy Star rebates that may be available in your area. 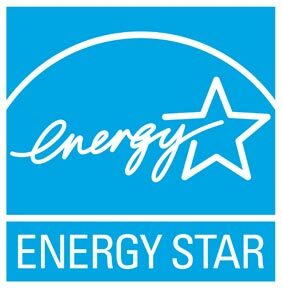 Please note, not all Energy Star products will qualify for a tax credit.